إن فندق Lakefront Apartments بموقعه الممتاز في مركز مدينة كوينزتاون هو نقطة انطلاق جيدة لنزهاتك في كوينز تاون. يمكن من هنا للضيوف الاستمتاع بسهولة الوصول إلى كل ما تقدمه هذه المدينة النابضة بالحياة. يشكل هذا الفندق ملاذاَ مريحاً للاسترخاء ويمنح زواره فرصة للاستجمام والتجدد، وهو يقع على بعد خطوات من المعالم السياحية الكثيرة للمدينة كمثل: Creative Queenstown Art and Craft Market, كازينو لاسيترس وارف, البار الثلجي ماينس فايف. إن Lakefront Apartments حريص على توفير الراحة للنزلاء، فلا يوفر الموظفون جهداً في تقديم أفضل الخدمات وضمان حسن الاستقبال. إن مكتب الاستقبال على مدار الساعة, صف السيارات, رعاية أطفال, غرفة عائلية, مرافق للشواء هي جزء فقط من الخدمات التي تميز Lakefront Apartments عن باقي الفنادق في المدينة. في Lakefront Apartments غرف نوم يزيد عددها عن 21 صممت بذوق وعناية لتوفر لك كل وسائل الراحة . بعضها يحتوي أضاً على تلفزيون بشاشة مسطحة, اتصال لاسلكي بالإنترنت, غرف لغير المدخنين, تدفئة, مكتب. يمكنك الاستمتاع بالأجواء المريحة التي تقدمها تأجير معدات التزلج, دروس في التزلج, التزلج على الجليد طوال النهار. يشكل Lakefront Apartments بخدماته الراقية وموقعه الممتاز، قاعدة مثالية للاستمتاع بإقامتك في كوينز تاون. Great apartment facing the lake and mountains. However, the cooker hobs were a bit difficult to operate. Everything else was complete. Only that the two bedrooms do not have Tv sets. I usually watch tv to sleep. And because of this i had to sleep on the couch in the living room. That’s my personal choice. The apartment is just perfect and complete. 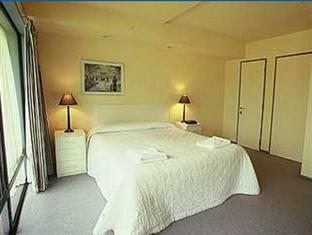 10 minutes walking distance to town with so many eateries and tour shops. You do notneed to rent a car at all. I will surely recommend it to my friends. A place whereby you had everything you need. But we were given an old dated room compared to the rest on the same floor. Nearly wanted to ask for a change, but find it too cumbersome to move our stuff after settling in. One of the sofas not usable, torn with no support. Otherwise the rest is good. Good accommdation in excellent location. A really spacious apartment, and our unit (n°17) had an amazing view over the lake. The washing machine did not work when we arrived but it was changed on the next day and we were offered the use of the common laundry room for free. Nice front desk staff, really accomodating. I strongly recommend the place. Im saving the best comment for the last! This was the last apartment that we stayed. Pro:- just 3 steps away from the lake. Its literally in under your nose. - the most complete facilities of all 8 different places that me and my family stayed( ranging from Air B&B, expensive apartment, high end chalet by the river, hotel). Imagine this apartment is complete with dryer and washing machine! Wow!! - kind and nice lady at the reception - huge bathroom( shower room and toilet together), & of course big mirrors. Two hand wash basins inside! - it has its own garden - everything is within a shortt walking distance. Eriks fish and chips, etc etc - although parking area is provided but we just park our car in front of the apartment .and its free parking - heater complete. 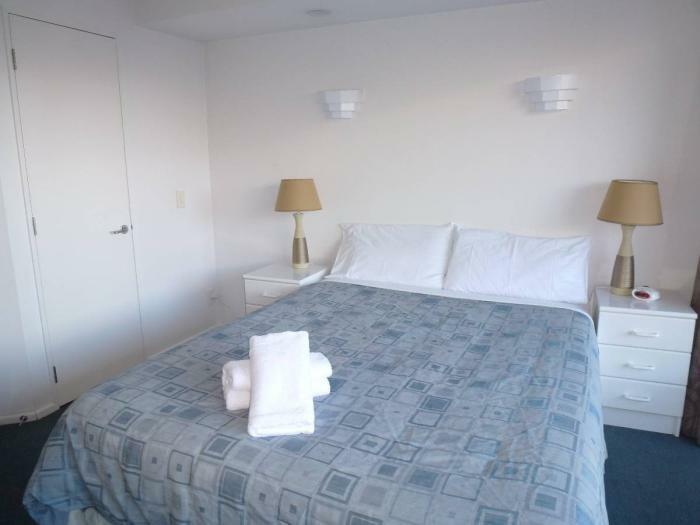 all rooms, lounge, showerroom have heater and they are all working well -beds are very comfortable - i can go on and on and on but i will say, this place is the most which is worth every penny. - stay here!!!! Fridge, kitchen, furniture and carpets were dirty. Several lights not working. Oven not working. Two out of four stove plates not working. A great place to stay nice and close to everything. The lovely staff member who checked us in was SO helpful. The only negative was perhaps the light getting in too much but a great place. - friendly staff - good location, opposite to the lake, nice view from living room and few minutes walk to center - booked 2 bedrooms apartment, it has two levels with bedrooms downstair, apartment is old and outdate inside and need renovation, old carpet caused stinky smell. The view from the window was certainly 4 stars but the accommodations were not, neither in our room or my brother's room. The carpet was very worn. Rooms were musty and needed airing but with all the dampness outside, it was different to leave open. The rooms are clean overall but rate only 2 stars in my book. It is an easy walk to downtown except from street to hotel elevator. 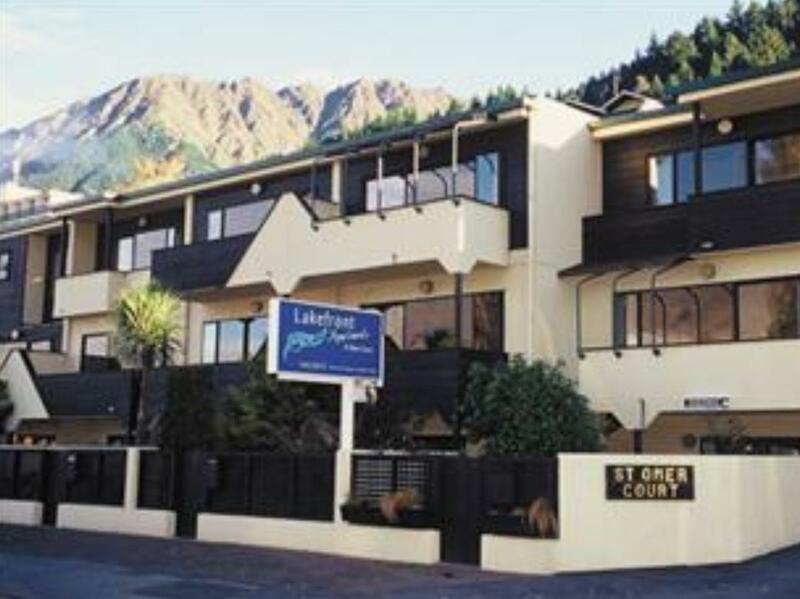 Given it's my 4th trip in 8 years to Queenstown, I would rate this place last after Copthorne Lakefront, Glebe, The Rydges (no particular order for these 3). Easy check-in and front desk personnel was helpful. Good location, nice staffs ang clean. We enjoy very much. My children enjoyed swimming in front of the hotel. Awesome lake view in lounge and main bedroom. Walking distance to Wharf and central. Kitchen and bathrooms are all good. two storey apartment with two bedrooms. 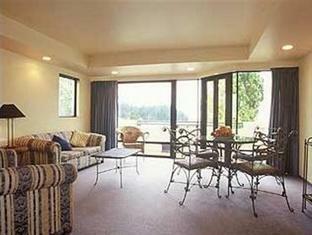 apartment was spacious and had lake view. it is 15 mins walk to the main town area. check in was a breeze. Staffs are nice, Rooms are clean. Furniture can be quite old but they have quite a nice view of lake. The location and view unbeatable. The amenities in the room were lovely, especially the washer/dryer, although the clothes rack was broken. Staff friendly and informative. The room was lovely , incredibly spacious, however, it's in need of TLC. It wasn't the cleanest when we arrived, dirty ashtrays which is a big no-no to non smokers. A good lick of paint is needed, patch up jobs on some of the walls need to be completed, new outdoor furniture, as the ones outside are not up to par and there were several large cobwebs inside the windows which were unsightly. Overall, I would stay again, as the pros outweigh the cons, which can be fixed easily. You cannot beat the view and location, as that's what Queenstown is all about.